Perhaps your adolescent is a chronic runaway, leaving frequently for short trips to who knows where, but generally returning after, at most, a few days. Or maybe your adolescent recently ran away for the first time and has not yet returned after several days or even weeks. Regardless of whether this is regular behavior or new behavior, adolescents generally run away either to escape something (such as family problems), or pursue something (such as drugs, a forbidden relationship, or a sense of belonging in a group) away from home. Whether your adolescent has been gone for a night or a week, running away is a serious issue that should be addressed immediately and unequivocally. When a teenager’s whereabouts are unknown, the adults responsible for them cannot provide for their well-being. In addition, high-risk behaviors and victimization can occur in many runaway scenarios. The following tips can help parents intervene effectively to interrupt new or chronic runaway behavior. *We cannot help in the process of locating a runaway teen. Please contact your local authorities to help with the location of your loved one. Runaways should be reported immediately every time they run. Despite what some law enforcement officials mistakenly think, there is no waiting period for reporting runaway youth. Reporting immediately sends the message to your adolescent that running away creates enormous risks and will be treated seriously. It also sets the legal system in motion in terms of reporting your teenager’s missing status so that he or she can be quickly found and returned home. The National Child Search Assistance Act, 42 U.S.C. 5779 (1990) prohibits each law enforcement agency in the country from establishing waiting periods before accepting a missing child report without regard to the youth’s custodial status and requires immediate entry of each report into the state law enforcement system and the NCIC. The Missing Children Act, 28 U.S.C. 534 (1982) authorizes the entry of descriptions of missing children into the National Crime Information Center computer and directs the FBI to make theses entries if local police fail to do so. 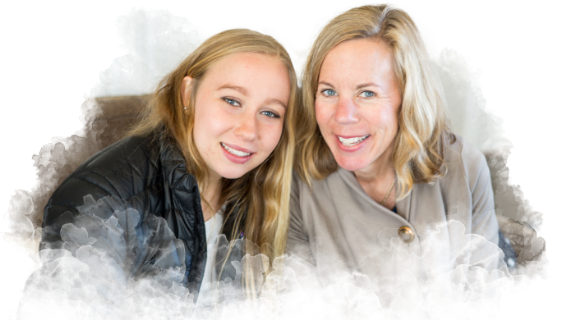 Many parents walk on eggshells when their teenager runs, avoiding the issue and failing to ask direct questions to get to the bottom of the issue. This is a mistake. Effective parents engage their children with direct questions, being careful not to unnecessarily put their teenager on the defensive, but instead creating a safe place for sharing. Some adolescents still won’t share even in the face of a parent’s best efforts to engage, but it’s still important to give this approach a fair chance before moving to other, more interventive approaches. Running away creates risk to the adolescent and to those left to worry about and search for her. It’s a serious breach of trust that should be discouraged through natural consequences, such as the temporary suspension of privileges that might make running easier—like mobile phone use, internet access, car use or later curfews. Scary, high risk behaviors can be used by adolescents to manipulate their parents into inaction—a kind of learned helplessness. Don’t relinquish your parental obligations and authority in the face of manipulative behavior! Knowing your teenager’s friends and their parents (including contact information) is a critical first step to creating a safe network to help you find a missing or runaway teen. Asking a non-immediate family member who is close to your child may also be more successful making contact. If your child is a chronic runaway, there are numerous online communities that offer support from other parents and professionals. Beware of sites that attempt to charge you for their services, however. Asking a non-immediate family member who is close to your child may also be more successful making contact. 3. It gives you a supportive, objective resource to help you anticipate and intervene in runaway episodes. If the behavior persists, involves high-risk behaviors, or involves long absences, intervene with outside support. This may involve an actual formal intervention with a drug and alcohol addictions professional, a family meeting with a therapist present and/or the decision to place your runaway child in a safe residential setting to prevent running behavior and address underlying issues. If your teenager is missing and you cannot locate him or her, you can complement your own and your police department’s efforts by hiring a private detective. Select one—preferably in your area—who is fully insured, well recommended and who specializes in locating missing youth. Make sure that the detective will agree to transport your child back home or to the treatment facility of your choice.